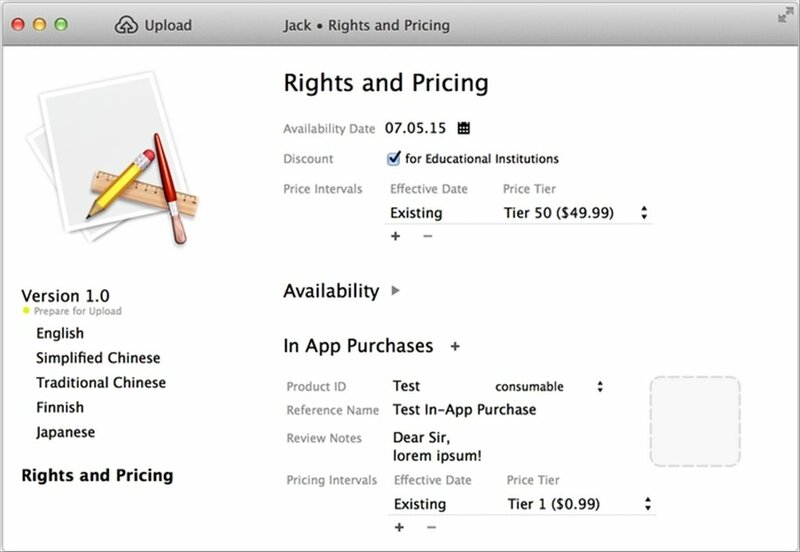 If you're a developer of Mac/iOS applications, with Jack you'll be able to comfortably manage the programs you have published in the Mac App Store/App Store. An assistant for your iTunes Connect applications. 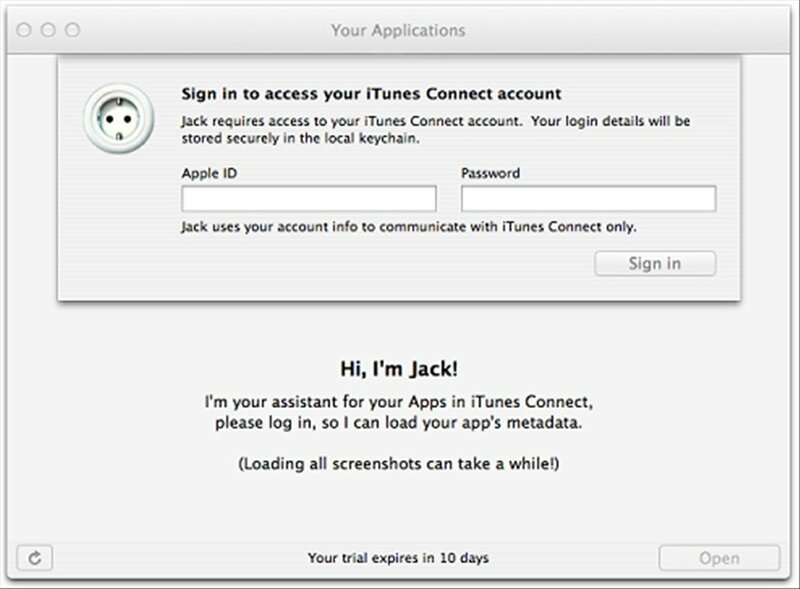 Once you launch the application, you have to input your iTunes Connect account data. 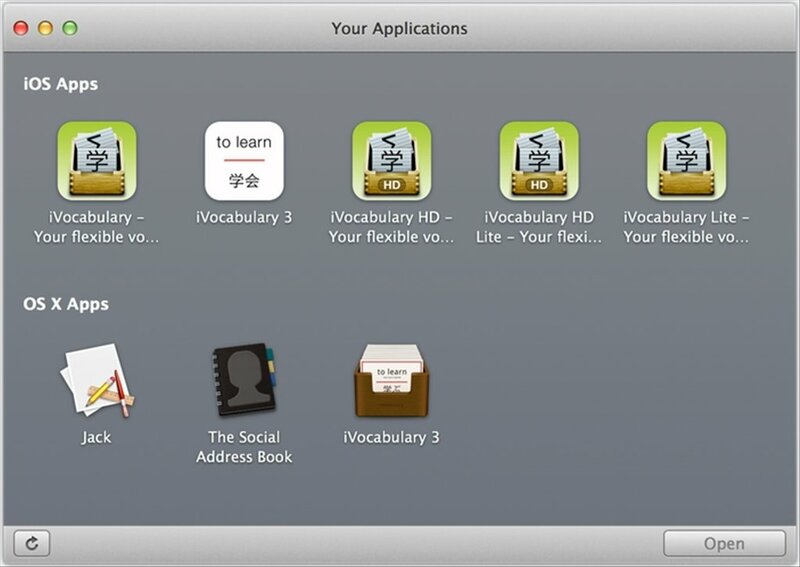 Thus, Jack will read the information associated to your applications and display them on a user-friendly screen. Visualization and edition of associated metadata. 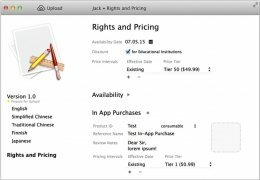 Control of prices and in-app purchase costs. The changes made aren't automatically synchronized, but are carried out offline. Whenever you want, you can upload these modifications to iTunes Connect. 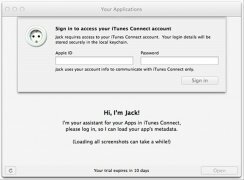 Jack is the program that any developer needs to easily connect to his/her iTunes Connect applications. This is a trial version that can be used for 10 days. Requires an iTunes Connect account.